This Identity Theft Protection Stamp is reliably and conveniently helps protect against data or identity theft. The high quality impression will cover any sensitive or confidential information. 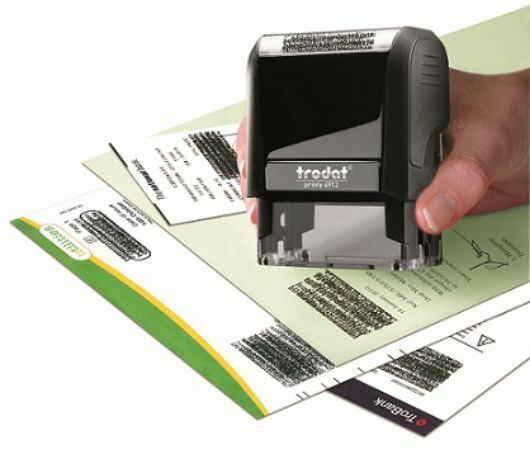 This stamp has a clear positioning window that allows the user to easily cover the sensitive information. This stamp also comes with a FREE replacement ink pad!